Is the crisis a blessing for the regionals? One of the questions I asked Max Munson, owner of Jáma during an interview I had with him a couple of months ago was why he had decided to change the beer supplier after a decade long relationship with Plzeňský Prazdroj. After making clear that the people from Pilsen had always been very good business partners, and that the decision had been by no means influenced by anything they did wrong , he told me that the main factor for the change had been the crisis. As many other restaurant owners, Max was doing the impossible to keep his head above water, which means cutting down costs. One day he was visited by a representative of K Brewery Group. Max didn't feel like talking to him/her at first, but then he remembered the first edition of the Czech Beer Festival, where he was part of the organisation. He saw first hand the huge success the regional breweries had, to the point that some of them had to be moved to the tents of the macros so they wouldn't be so empty. To make it short, the talk with this rep was very fruitful. KBG not only offered a much wider range of products, but they also agreed to put the taps, bring glasses and promotional material to decorate the restaurant and, if all that wasn't enough, most of those beers were considerably cheaper than the equivalent from Prazdroj. During the interview Max told me that the change had been very well accepted by the customers and that beer sales were up. But what has happened since then, once the novelty is over? A couple of weeks ago I ran into Max and we had a short chat while he sorted out some problem at the new Jáma (nice place, by the way). I asked him how things were and was quite surprised by the answer. The change in supplier and adoption of the rotating beer model have helped his business in a way he could have never predicted. For example, he told me how some people that before only went for lunch, now come back after work to have a couple of those new beers, and how some of them already have their fans. He added that the original Jáma has stopped loosing money (they are breaking even now) and, according to him, that is thanks to the beers. I know of several other examples like this. Last year the people of Celeste had already told me how well they were doing with Kout. This shouldn't be a surprise to anyone, most of the products of regional breweries are cheaper than those of the big brands. Comparing prices at a wholesaler in Prague we find that a 50l keg of Gambrinus 11º costs 1470CZK, while the price for a same sized keg of Rohozec 11º is just 1080CZK; or that a 30l keg of Stella Artois or Heineken will set you back 1297CZK and 1472CZK respectively, while you'll be asked to pay 858CZK for the same volume of Svijany 12º. To this, I should also note that these regional beers can be sold at same price as the others. You don't need to be a financial guru to see the benefits. I understand Gambrinus and Pilsner Urquell, they are still popular brands, but how can it be that there are still people who offer pseudo imported beers at their restaurants, etc. when not only they are expensive, but they are not likely to attract any new clients? But when you see the enlightened minds behind the Prague Food Festival making such a fuss about Braník in Fancy Dress*, without any food writer, in English or Czech, having to say anything about it, what can you expect from the owner of a pizzeria in Prague 9? (*) I have strong suspicions that Braník, Staropramen and Stella Artois are the same beer with different labels, even though the first is a lot cheaper than the third. Interesting. Jama is Always full when I go. Really wanted to go in May. But was so busy, will go in October though. I always find it interesting that the moment there is some kind of financial problem, whether on a macro scale or in a business the first thing the bean counters try in order to solve the problem is to cut costs. There is however another way, increase revenue, bring more paying customers through the door - special events, unique services and the like are more effective than letting skilled and experienced staff go or using inferior ingredients in the food. By the sounds of it, Max has done a combination of both cutting costs and increasing revenues. But for the crisis, he would still have increased revenue by changing to a different beer supplier, even if prices were the same, simply because people want to drink good beer. In my experience with a lot of the people who go to Jama they went for the atmosphere and the food more than the beer, if you then have better beer then more people will go, thus increasing revenue. Also in my experience, I yet to meet a person who deserted a beloved pub simply because they switched from Gamcrap. Al, you've got it spot on. And to your example, we could add Zlatá Whatever, the place where you went to see the footy eventhough they had Gambrinus. The thing here is that we have the best of both worlds, cutting down costs with the possibility of increasing revenue by getting more people through the doors. What I can't understand is why there are still so many places that fail to see this. Most people don't give a toss about what beer they have at their favourite pizzeria. Why then the owners keep on buying something expensive like Stella if it won't bring any new clients? 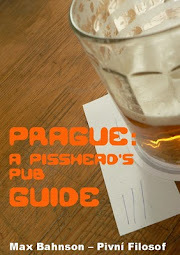 I think for a lot of people, especially those from Prague, there is still a stigma attached to regional beers. Experiences from communism or the period thereafter where these brands were spotty at best or not well taken care of in the pub and often left one with a nasty hangover left physical and mental scars that people are not eager to overcome. It hasn't been so long that these breweries have started cleaning up their acts, so to speak, so I think all it needs is time. If the rate of expansion we're seeing now keeps up, I don't think it'll even need much time at all. In terms of restaurateurs, if their focus is good pizza, they may not be so mindful or knowledgable about beer, and let's face it, a lot of the time they're not so mindful or knowledgable about pizza either. Serving Stella may not bring in any new customers, but Staropramen's bonus pack for carrying it is a sure thing, while awareness of the new demand for different and better beers is not exactly widespread. Most restaurants seem to be more in the business of making money than pushing the boundaries of food/drink culture. That's a good point, and very true, indeed. I think people are becoming slowly more open. I remember a few years ago mentioning a regional beer or another to people and getting the answer. "it's horrible". I would always ask where they'd had it. At this club, football match or pond i.e. places with crap beer, which in a way, reminds me of what I talked about a couple of weeks ago. Of course, much of the blame was the brewers' themselves. But just to illustrate how things seem to be changing. I was at a Billa the other day, they have much of the KBG stuff and I saw a couple of geezers with Gambáč in their trolleys or baskets looking at the bottles of Platan, Ježek, Rychtář, etc and picking a couple. Who knows if they'll like them or not, but the fact that they've paid attention to them is encouraging. And as for the pizza restaurants. The kickbacks are an issue, but also there's a lack of sales forces from the regionals, and maybe even an unsound strategy. Imagine this scenario. You go to that pizzeria in Prague 9 and tell the owner you can offer him your brand of beer that is cheaper than Stella, but that he can sell at the same price, if he's reluctant, you tell him that you can lend him a tap for a week or two so he can test a couple of kegs (perhaps even for free) and see how the public responds. That owner would be a fool if he at least didn't consider the offer. PS: Most restaurant owners, regardless of what sort of food the sell and how much they might know about it aren't too mindful about beer to begin with, once again, the Prague Food Festival is the perfect example. Ahoj. What do you think of the Powdered CZ Beer Patent. As on Radio Praha, Today ?. KBG seems to be doing a good job of finally putting that needed marketing push into things, sending out reps, etc. It seemed to be something they were missing but I guess they were just consolidating first. Last weekend I was in Dolní Jirčany just a ways outside of Prague and the village pub there was serving two kinds of Rychtar, Svijany, Kozel and I think something else I can't recall at the moment. Definitely a pleasant surprise. They've probably helped solve another big problem with smaller breweries too, which is delivery. Most smaller breweries only do deliveries a day or two a week, while Staropramen delivers all the time, plus it's available at all the non-stop wholesale beverage places. 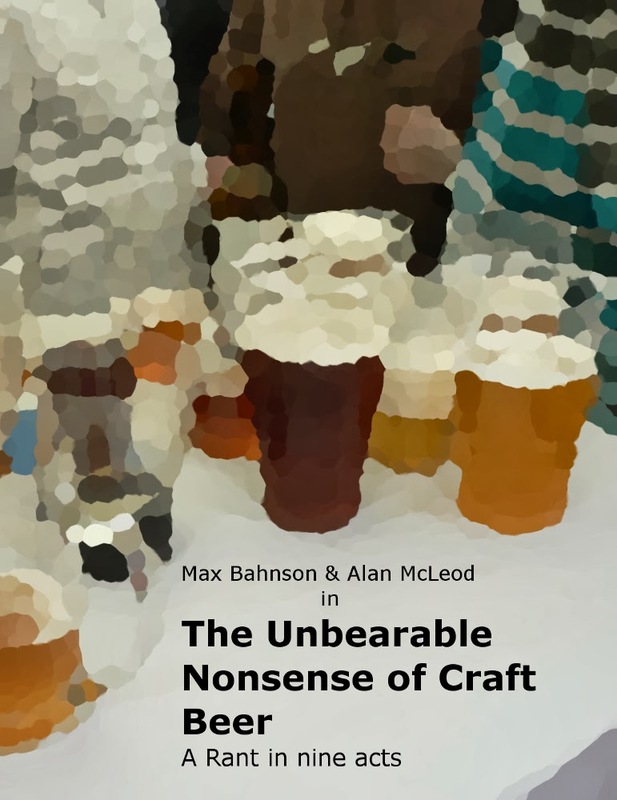 If you've got a small brewery and run out of beer on Friday and have to wait till Monday to get more, it can be a real issue. Really interesting article. I just started following this blog and I am looking forward other posts. I have been to Jama last week and I was nicely surprised by the beer selection (in downtown!). Especially by my favorite Kocour brewery! If the service wasn't that bad, I would be even more excited. Of course those prices are only illustrative. On the other hand, there are many places that don't buy directly from the breweries, but from wholesalers. But still, the regionals, or at least some of them, have wised up and, if you sign a contract with them, they'll be happy to give you the same extras the big boys do, which is the case of Jáma. AS for why Gambrinus is in 50% the pubs. For two main reasons. Firstly, it's considered as a safe bet, people know it, many people like it and, whether we like it or not, there are still many who won't drink, or even try, anything else. Secondly, because most restaurant owners don't know anything about beer and care even less (once again, the case of Jáma, or, actually, the owner before he changed suppliers, now he's a convert). When someone is planning to open a pub/restaurant/café, etc. they know they must have beer, usually, they will choose Gambrinus-Pilsner Urquell and, and here is the most pathetic thing, if they want to be "different" they will choose something like Stella. Why don't they choose something else? For the same reason most people at a supermarket won't pick a bottle of Klášter even if it's cheaper than Gambrinus, because they don't know it.